We are going to be giving some away over the next few weeks, so be sure to check in often for your chance to get yours for free! We will not start selling them online for a couple of months. Attached are a couple pictures I took with my phone (bad quality), but they certainly look better in person. They are heavy duty, pre-shrunk on a natural color shirt (like a very light brown). We have sizes Small through XXL. 1) Be at our SeaDoo Meetup - Cost will only be $12 per shirt for this special event! 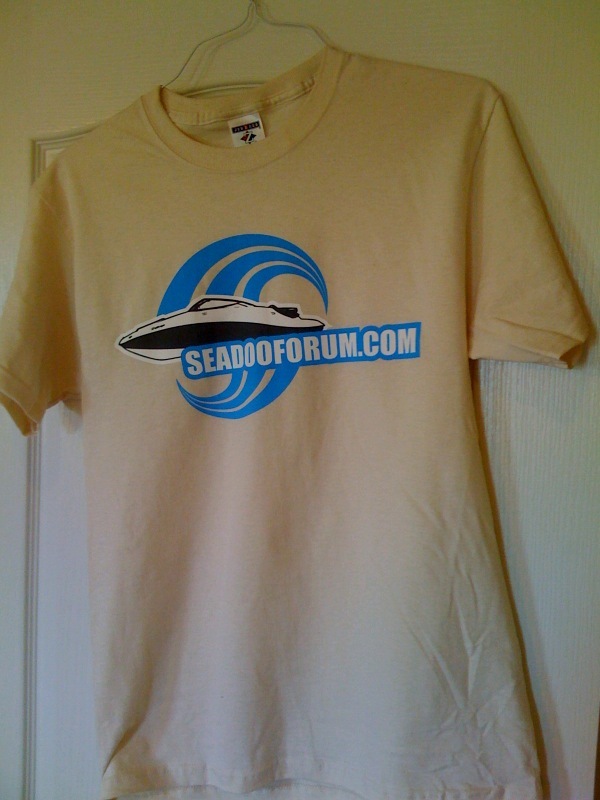 2) Spend over $350 at SeaDooWarehouse.com and get a shirt FREE! 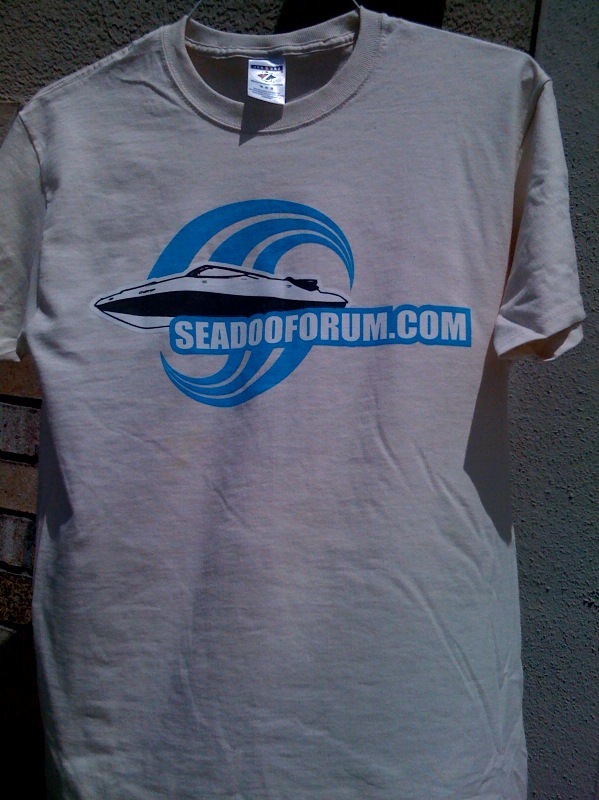 3) Purchase a 2 year Premium Membership and get a shirt FREE! Nice job on the T's! Sign me up for (2) XL's (one of each color) and we'll see you at the M&G! Both pics are of the same shirt. One inside lighting one outside lighting. Sorry just couldn't get a good pic of them yet. At the meetup I'm sure we will get a lot better pics! Please pm me if you want yours mailed to you (and your address) or if you want it at the meet. I am interested in buying one when they become available, but by any chance, are you getting the one made with the Sea-Doo PWC on it? I rather have that than the boat. This first batch are only the boats shirts. Depending on how fast they go and the demand for the PWC type will determine what we do for the next batch. The boat design was a lot more popular for now, so that's what we went with on the first run. It'd be a couple months until we do another run as we ordered a pretty large quanity, but I'll be sure to update this thread when we do order more. Alright, I may need to just buy one of those then. Yeah, you can sign me up for one of the light tan ones. How do you want us to place our orders? Or do we just PM you? lol they are all light tan!!! There is only one color! 96 GTX , 99 GSX Limited, 19 ft. Glastron I/O boat.